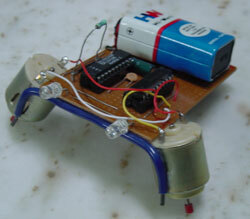 The photovore is a light following robot. It turns towards the brightest source of light and runs for it. 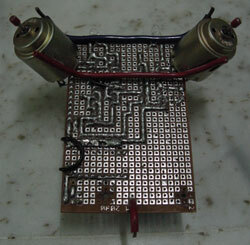 The circuitry is simple and uses very few components. It was assembled on a small dot matrix general purpose PCB.